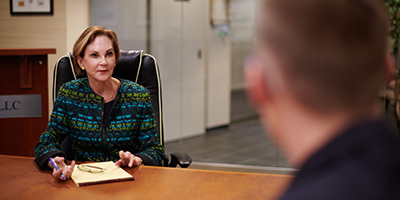 Marzulla Law, LLC is among the nation’s leading law firms for litigating money damages claims in the U.S. Court of Federal Claims and in the Federal Circuit Court of Appeals. We represent commercial property owners, developers, water districts, Indian tribes, and business owners in eminent domain, contract claims, and breach of trust claims. We also represent clients in a broad array of environmental and natural resources cases, such as environmental enforcement actions, and regulation of natural resources and the environment in federal district courts and courts of appeal. ML can represent you in the federal courts, notably the U.S. Court of Federal Claims, the Federal Circuit Court of Appeals, and the district court of the District of Columbia, as well as other federal district courts, appellate courts, and the U.S. Supreme Court. ML also represents clients in administrative agencies, such as the District of Columbia Office of Administrative Hearings or the Interior Board of Indian Appeals. "We chose Marzulla Law after interviewing several national firms when our partnership faced a highly complex federal claim… and it was the best decision we could have made." Chambers has recognized Marzulla Law as one of the top ten water rights litigation firms in the country for takings litigation involving the application of the Endangered Species Act and water rights of agricultural water users and water districts. The U.S. News & World Report ranked Marzulla Law as Tier One in Environmental Litigation and the Lawyers World Awards named Marzulla Law the Environmental Law Firm of the Year in 2011. Marzulla Law is a member of the International Network of Boutique Law Firms. Nancie and Roger Marzulla are both listed in Best Lawyers for environmental litigation and were named in the Washington Post list of Top Attorneys in Washington DC and Baltimore. Our history is on your side. The Marzulla Law team brings to bear decades of experience to solving your legal problems, no matter how complex. 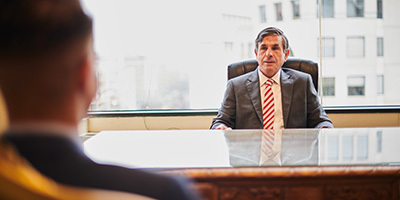 Experience in litigating lawsuits against and on behalf of the federal government in a variety of contexts (takings claims, contract claims, breach of trust claims, and a wide array of environmental claims) at the U.S. Department of Justice, private practice in law firms, and non-profit organizations.